Have You Heard? Lake of Bays is Redesigning our Website! The Township of Lake of Bays is redesigning our website in an effort to provide relevant, helpful information to residents and visitors. First, we need to hear from you. Please take a few minutes to complete our survey and tell us how we can improve. Complete our online survey by Wednesday, April 25, 2018! 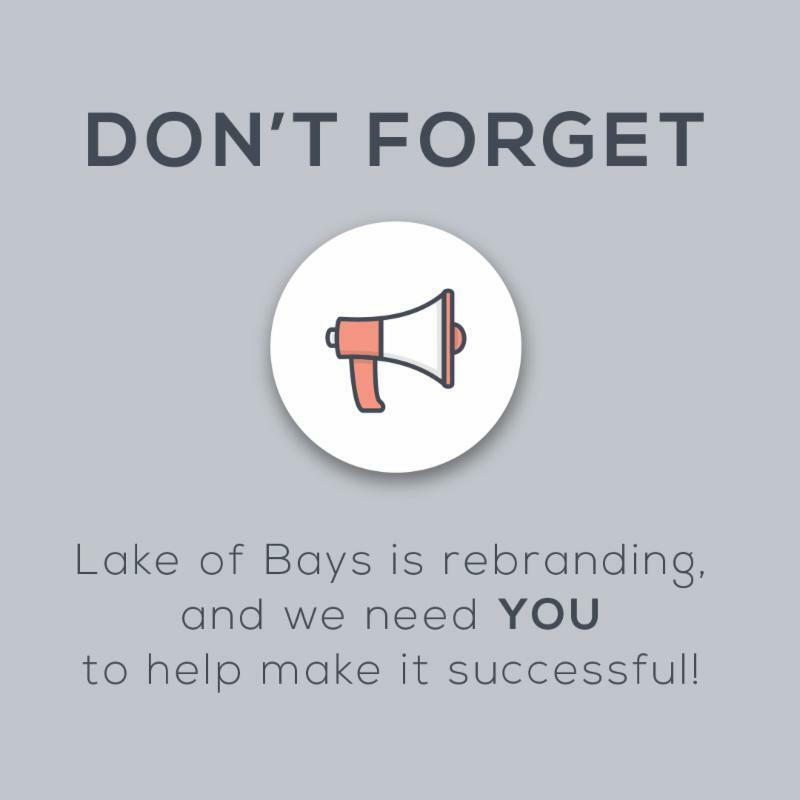 Don't Forget: Lake of Bays is Rebranding! Lake of Bays is undergoing a rebranding initiative to help drive investment and attraction to tourism, community development, and business activity, while enhancing the connection and experience residents have with the township. This rebrand is an outcome of the Township's Economic Development Strategy. To help guide the success of this rebrand, we’re inviting you to our public engagement sessions. See below for details, and join us in shaping the future of Lake of Bays! Complete our online survey by Sunday, April 15, 2018! Small businesses (less than 100 employees) can receive an initial $1,000 incentive upon hiring and an additional $1,000 retention incentive after six months for each youth (aged 15 to 29) hired through Employment Ontario's Youth Job Connection. Additional financial help available to offset training costs. Click here f or more information. Contact: Employment Ontario at 1-800-387-5656 or contactEO@ontario.ca. Contact: The District of Muskoka's Community Engagement and Social Enterprise department at 705-645-2231 or payitforward@muskoka.on.ca.